our perfectly imperfect life: They call her Momma. Honestly ... where does time go? I seriously can't stand the fact that life goes by so fast ... I need to know how to fix that. As much as I try to cherish the little things in life ... the big things seem to take over. My niece has moved into her fifth week of life. It is amazing to see the transformation that just five weeks makes on a newborn baby. 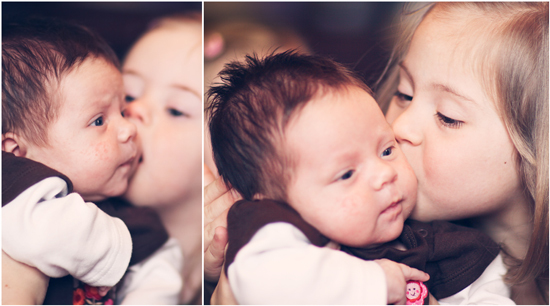 Payton adores her cousin ... I love that. She is such a little momma ... she loves her babies. I'm pretty sure she thinks she is the mother of Nika too ... ya know, in light of the way she bosses her around and such. Payton's teachers have also told me they call her "Momma" at school, because she acts like just that -- the momma! 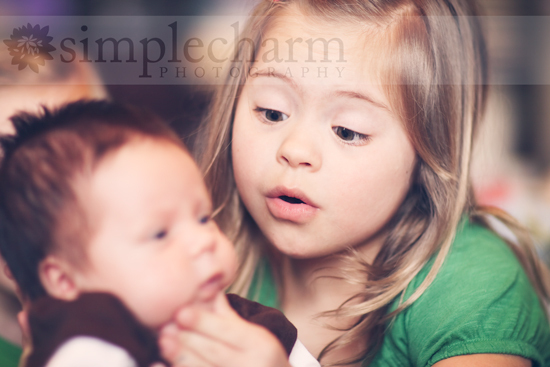 She is constantly trying to take care of the other kids and help them with what they need done. Such a kind soul. Mason was the student of the week last week in his kindergarten class. His favorite animal is a dog. When he grows up, he wants to be a race car driver. His favorite place is Disney World. His favorite thing to do is play with friends. If he had one wish, he would wish for a monster truck. Even when he sobs from exhaustion after a long day at school when the neighbor kid does not want to play baseball with him. Nonetheless, he is always willing to pose for the camera ... waterlogged eyes and all. My hazel-ish eyes turn really green when I cry ... and Mason's do too, as you can see. I wonder why that is ... too bad that color doesn't stick around absent of salt water tears. Now if you'll excuse me, I need to go eat my pickles and ice cream. You know, because I'm pregnant. ha ha! good one Bethany! Your kids are all great! And what a beautiful niece too! What photos!! Those eyes!!! Your niece is beautiful. How sweet of the teachers,and how sweet of Payton to be the momma. I have one like that too, my middle child Sophia. 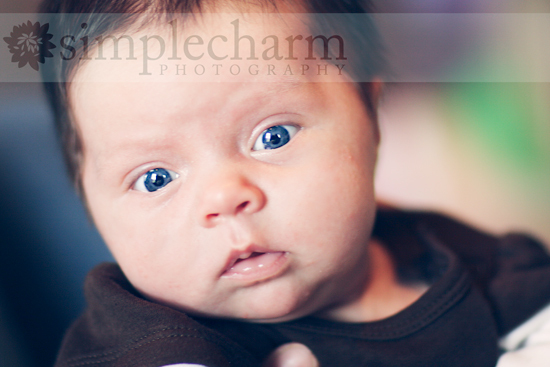 Congratulations to Mason, and again...those eyes!!! Watch out Mama...the girls are gonna be beating his door down. 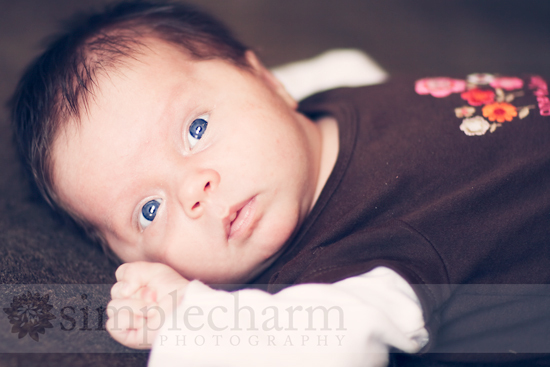 Oh my...I WANT to get pregnant after looking at the photos of your gorgeous baby niece!! 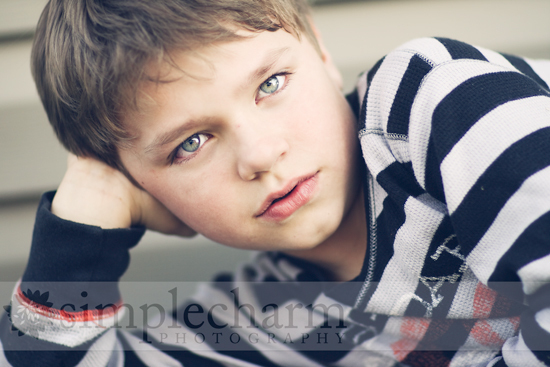 And Mason...so handsome! Love the pictures - especially the ones of Payton with your niece! So cute! 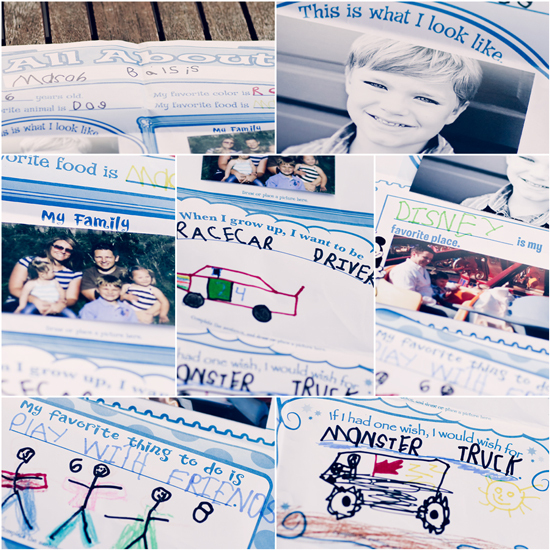 I loved seeing Mason's scrapbook of the things he likes! He is a great artist! The way she is looking at your niece in that first picture, SO PRECIOUS! Swooning at the cuteness here. I LOVE that Peiton is so cute with your neice!! What a sweetheart! I love that they call her momma at school-so cute! Cute pictures, I loved seeing Peiton with your niece, so sweet. Yes, I was married about 5 years ago and I left this bad 5 month marriage ( I know record breaking) when I was 3 months pregnant. I ended up placing my little girl up for adoption, she will be 5 this year. Email me at tbdingman@comcast.net if you want to know more and we can chat. So glad to have found your blog! You have an absolutely beautiful family! I am so touched by your story. My hubby and I have just started the adoption process ourselves! haha i had to read the post before to undersntand the pregnant joke. Just stopped by for the first time in ages. You photos are amazing as always. I love the new Ds site you created. What a great resource for families. As for the lady in the waiting room....seriously what goes through people's minds. Its hard to be quick with your comebacks when people blow you out of the water with the craziness that comes out.